Nice review and lovely picture. You made me curious to try and I sampled it. My olfactory description is very close to your description. What I found in this one is that the rose here is rather a fresh one that nicely contrasts with the sweetness of sugar and doesn't make one sticky sweet mass. Another one is I think that I smell some oakmoss next to vanilla in the base. What do you think? Just curious. I will have to give this another test and let you know what I detect in there... its not something I'd say stood out the first time around though. 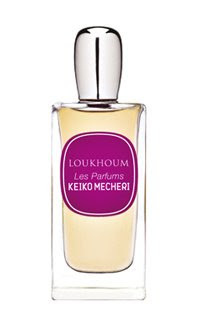 There's a new KM Loukhoum that's just come out (she has a trio of Loukhoums now) that contains a more pronounced rose note with a bit less candy-sweetness. I need to try some Loukhoum, the dessert, as I've never tasted it. Aromax, Im not sure if I do smell the oakmoss in the drydown... if its there, its a fleeting suggestion of it. Is this on par with your observation?